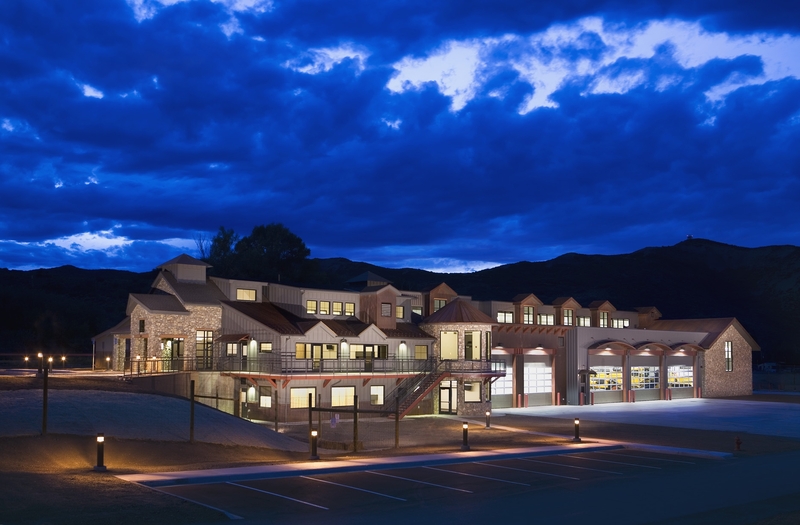 Aspen, CO | FCI was the CM/CG for the improvements mandated by the Federal Aviation Administration to the Aspen-Pitkin County Airport. The project was designed to reconfigure airport traffic flow and support service buildings. 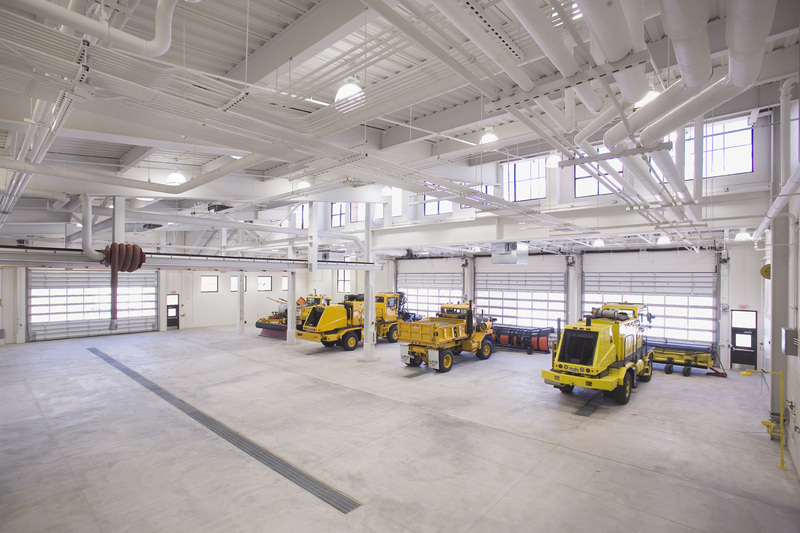 Part of the improvements included expanding the aircraft apron into the area where the existing Airport Rescue and Fire Fighting/Snow Removal Equipment (ARFF/SRE) Facility was located. Needing a new location for a replacement building, the ARFF/SRE Facility was moved to the west side of the runway to reduce conflicts between aircraft and ground vehicles, and provide better emergency response to the airfield. With the opportunity for new construction, the Airport decided to create a consolidated facility for ARFF and SRE operations, as well as Airport Administration. This necessitated a multi-level design with creative roof treatments to provide a friendly presence to the surrounding residential neighbors. 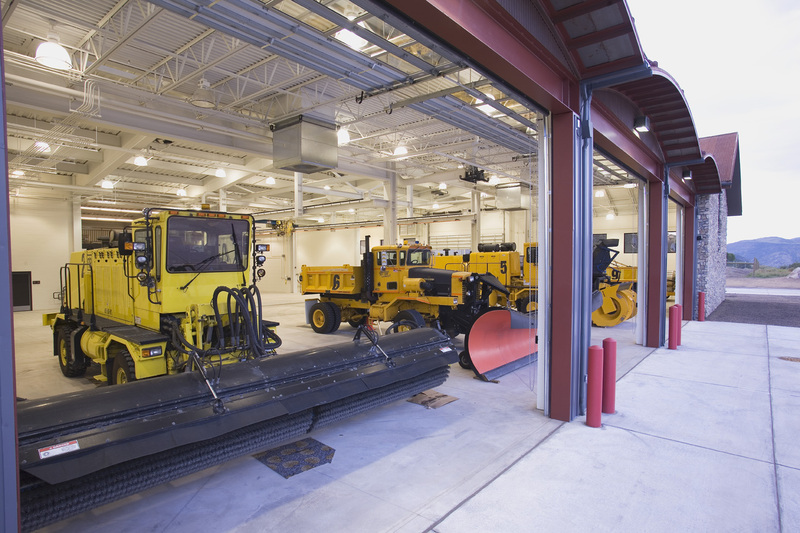 The facility provides storage and maintenance functions for the airport rescue and snow removal equipment, as well as other administrative vehicles. 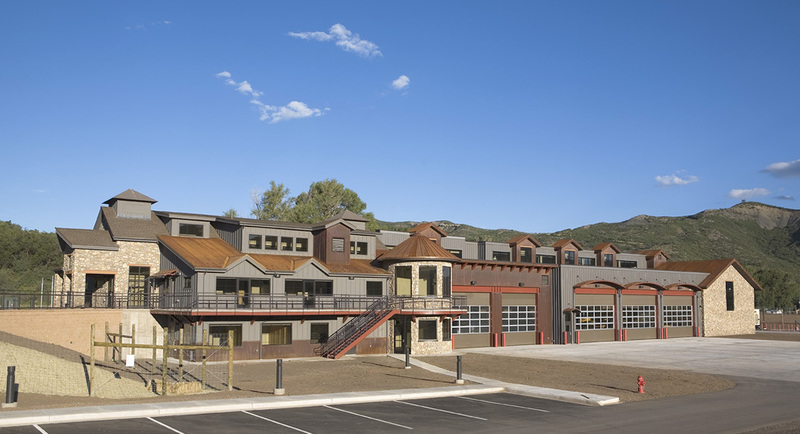 Employee housing was included as required by the County along with direct access to the airfield from the heated storage building for an immediate response time for each piece of service equipment.